It’s that time of the year when kids (and adults) get to dress up enjoy lots of sweet treats. I’ve never gone trick or treating growing up, but I’ve taken my kids to some events when we have the time. They’re not so much after the candies, but they enjoy dressing up and parading with other kids. Register: Tickets are available at the Granvia Café. Look for Joy or Edong. Registration starts at 9am. Price: Kids 0-3yrs old are FREE of charge but are not entitled to loot bags and will have food sharing with parents. Children 4 years old and up is P888.00 net. What to expect: Kids may come as their favorite Hollywood actor/actress or a character in any Hollywood movie. Included in the registration fee are Buffet Lunch, snacks, dessert, and candy buffet. There will be a magic show, puppet show, unlimited face painting, balloon twisting, and balloon show. Get your photo taken at the photo booth and don’t forget to join parlor games to win prizes! All registrants will receive a loot bag. Whoever is in their best Hollywood inspired costume (adults and kids) will get a chance to win an overnight stay in a 1 Bedroom Suite. Guests are encouraged to come between 9 am and 6 pm. Seats are strictly on a ” first come first serve basis” on the event date. Table reservation is discouraged, just to be fair to everyone. Register: You may send them an email at cfcmevents@crimsonhotel.com or register for your slots here. What to Expect: There will be a scrumptious snack buffet, a “Monsters on Parade” costume contest, photo and glam booths, games and activities, and more! There are many prizes to be won! Register: For more details and inquiries, 02 750-7500 or here. What to Expect: For a bargain price, you and your child can indulge in a snack buffet, have matching face paint and watch a magic show. There will also be a lucky draw, a photo booth, games and a contest for the Best in Costume! What to Expect: Kids can enter a Best in Costume contest, enjoy light snacks (for kids only), receive loot bags and have their faces painted. There will also be a photo booth you can enjoy and make memories with your ghouls and ghosts, a Heroes entertainment show, food and beverage concessionaires, exciting games and special awards! Price: The bundle price to admit 1 adult and 1 kid is Php 1, 200 nett. Each additional adult is Php 800 nett and each additional child is Php 500 nett. Register: To register, click here. What to Expect: There will be a delicious lunch buffet and you will have access to all the kiddie stations, freebies, and goodies for kids and a photo souvenir. There are lots of treats in store for your children! Register: For inquiries and reservations, you may call them at (+632) 890-0691. They will need the names of the attendees and they will require 50% down payment to guarantee the reservation. You may get their bank details from them when you have confirmed your slot for the event. What to Expect: Your children will have a chance to win a costume contest as their favorite hero or villain and bag prizes in various games. They will also be able to go around for trick-or-treat, score loot bags, enjoy a snack buffet, have their faces painted and access to a fun photo booth. What to Expect: Get the chance to walk on the Red Carpet dressed up as your favorite Internet headliner and sensation, may it be a real celebrity or a cartoon character, for a chance to win a Nintendo Switch! Thi is awesome news for all the game-loving families! There will also be a yummy lunch buffet for all registrants various activities and loot bags for the kids. Price: Room rates start at PHP4,500.00nett inclusive of Two (2) Complimentary Party Tickets. Walk-in/Extra ticket: PHP 800.00 & PHP300.00 for guardian (entrance only). What to Expect: Your kids will be amazed at the array of interactive mad science experiments, party games, activities, and Trick-or-Treat. They will also get to feast on heavy snacks and bag cool giveaways for an evening of fun and learning. 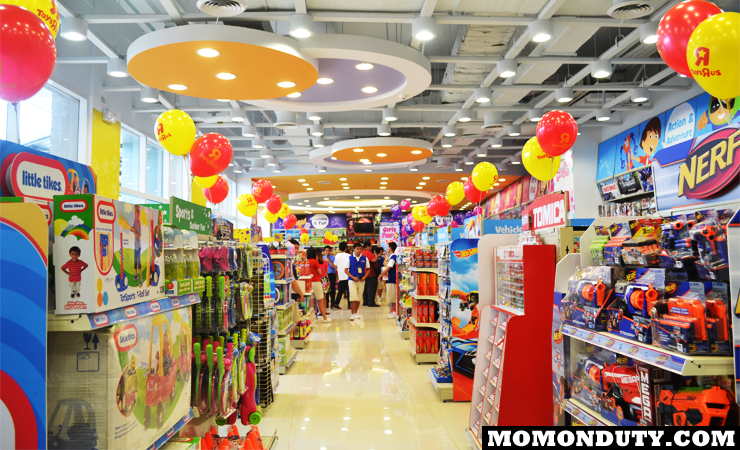 What to Expect: At this modes price, your children can feast on a buffet of treats and loot bags and get treated with snacks too! Registrants also have a chance at winning a costume contest, participating in trick-or-treat games and win more fun prizes. Price: Php 900 net per person. Children 2 years old and below are free if accompanied by a paying adult. Register: For details and ticket purchases, call (632) 570-7777. What to Expect: Doors open at 1:00 pm & buffet opens at 2:00 pm where your children can enjoy a kiddie snack buffet with drinks, their loot bags, a magic show, musical entertainment, games, food concessionaires and even a spooky horror house! The whole family can also join the fun in the costume parade with their children and win prizes in the children & parents categories. Register: For more details, contact their Sales and Reservations team at 0925 789 99 01 and 0925 789 99 07 to 08 or landline – 208 4748, 208 4753 or 208 4762. If you’re feeling like booking a quick staycation for your family, make the most out of Halloween in the North by availing of their Halloween Room Packages which start at P5,000 net for an overnight stay for (4) four INCLUSIVE OF two (2) tickets to ‘#FamilyGhouls – No Tricks, All Treats’ Halloween Party. Stay dates are from October 27 to November 5, 2018. What to Expect: There’s loads of fun to be had for the young and young at heart at the Hive Hotel! There will be inflatables, a face painting booth, trick-or-treating, games and prizes for kids and adults, a kids’ salon, candy buffet, a photobooth and more! There are even activities for registrants 13 years old and above (including adults) with a special activity for moms too! Tickets are available at the Events Lounge located at the lower lobby of the Tower Wing. The Events Lounge is open daily from 9:00 am to 6:00 pm. Should you wish to buy beyond 6:00 pm, you may purchase the ticket at their Restaurant Reservation Information Center or (RRIC) beside HEAT Restaurant. What to Expect: Be amazed by live entertainment, a mini musical, magic show and pet show at the Marquee Tent! Children will be engaged in fun-filled activities, receive exciting giveaways, a delicious bento box meal, indulge in a grand dessert buffet and more! They can explore the kiddie salon, arts and crafts with storytelling activities and photo booths; hair and make-up, face painter and glitter tattoo booths, a cotton candy booth and polymer clay activity and trick or treating. If you are looking for a quick getaway this October, room packages are also available from October 27 to November 4, 2018. Register: Drop by the hotel to purchase by cash or credit card and choose your seat or via bank payment.If payments are done through the bank, send them a picture of the deposit slip for confirmation. 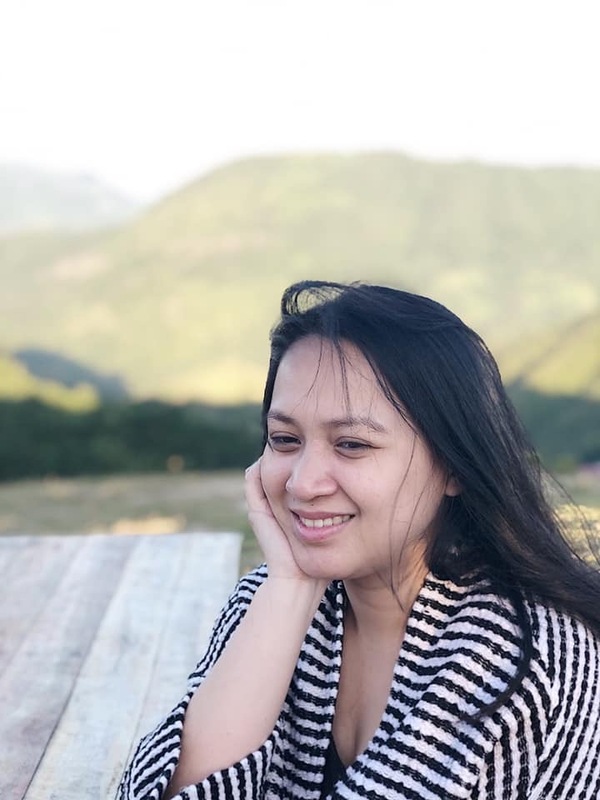 You may get their bank details by sending them a message on their Facebook page at https://www.facebook.com/luxenthotel/ or call them at (02) 863 7777. What to Expect: Spend a day full of games, magic, and activities with your children. Have them in their best costume for a chance to win prizes in the costume contest and a raffle. For ticket inquiries, call +6328200888 or email adventurezone.slfm@shangri-la.com . Tickets are now available at Adventure Zone reception area. Prices at Php 2,500.00 for AZ Member and Php 3,500.00 for Non-AZ Member and Walk in guest. Each ticket includes one (1) kid and one (1) adult already. For an additional adult, the ticket price is Php 1,500.00. You may settle it through Cash or Credit Card. What to Expect: Entry into the kingdom is granted for one (1) prince or princess + one (1) king or queen to participate in the Royal games and activities throughout the kingdom. They will receive a goodie bag filled with treasures from fellow sponsors and get to trick-or-treat around the Retail Arcade kingdom. Kids and adults are encouraged to come in their best costume but are required to wear the proper attire to use the play area. What to Expect: Their Halloween fairy tale quest includes: trick-or-treating around the hotel, face painting, glitter tattoos, a photo booth, lovely musical performances, food and beverage concessionaires, arts and crafts and a chance to win exciting prizes, including a LEGO Grand Showcase! Wear your most charming fairy tale costume for a chance to win a prize! Diamond Indulgence members are entitled to a Php100 discount for a maximum of four tickets. The Enchanted Room Package is also available for October 25 to November. 5. Booking period is September 5 to October 28, 2018. Register: Register at Sofitel Philippines Plaza Manila until October 21 from Friday to Sunday at 11 am to 7 pm. SM North EDSA, MOA and Glorietta 3 from Mondays to Sundays. What to Expect: Enjoy a good run followed by some trick-or-treating, foam cannons, inflatables, games, a raffle, special awards and a wizard maze! This might just be the most fun and healthy way to celebrate Halloween! Register: You may purchase through bank deposit. Call 720 2000 and their associates will assist you. What to Expect: Be immersed in Philippine folklore at the Acacia Hotel on Halloween. There will be a snack buffet, fun games, entertainment, goodie bags, raffle, costume contest, and trick-or-treating! Register: Reserve your tickets online through http://bit.ly/HalloweenReservation or by calling 238 6100. What to Expect: Sink your teeth into a lunch buffet, grab your party loot bag, go trick-or-treating and play games! There will also be a face painting booth, photo booth, a magic show, film showing and many more! Price: Minimum Php500 single purchase receipt for one (1) event pass (Kid + Adult) and FREE item. Register: To get details on how to register and join in specific Ayala Malls, follow this link http://animate.cartoonnetworkasia.com/ and choose your preferred mall. What to Expect: Meet and greet your favorite cartoon characters from Cartoon Network, score loot bags, participate in the various activities and games at a participating Ayala Mall near you! Gather around and visit a world where the Magic of nature and reality exist in perfect harmony. Come in your cutest costumes and join the Enchantimals Halloween Adventure for a chance to win exciting prizes! Get one (1) kiddie pass for a minimum purchase of Php 700 worth of Mattel collectibles! Fill your pumpkin pails with sweet treats and goodies from their partner establishments around the mall! All happening at SM Mall of Asia, Music Hall! Price & Register: Free admission and a minimum purchase of Php 700 worth of Mattel collectibles. 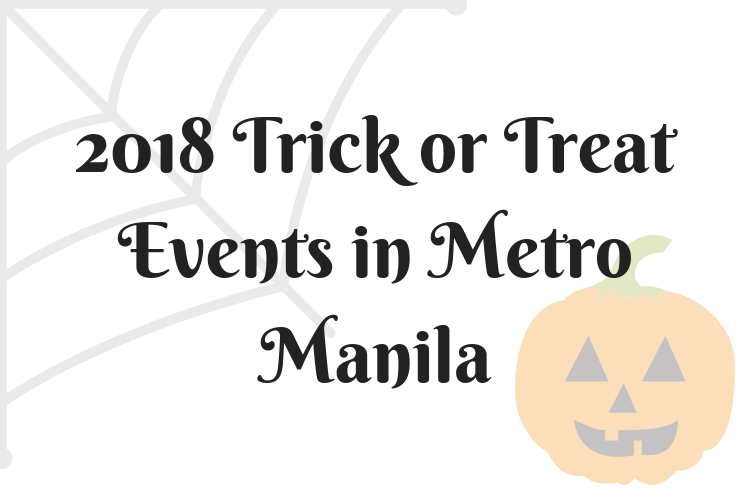 What to Expect: Celebrate Halloween with your furry friends dressed in your best costumes at SM Mall of Asia to enjoy games, trick-or-treating and shows for kids and pets! There are different events to choose from within the week to best fit your family’s schedules. Price: Php 150 net per person on a “first come, first serve” basis. Register: Registration has started on October 9, 2018 and is ongoing at the Commercenter Activity Booth from 10 am to 9 pm. This celebration is open to both kids and kids at heart! What to Expect: Trick-or-treating starts at 3 pm and is limited to 200 participants only. Registrants also get a chance to win prizes and cinema passes for Best in Costume winners! Children will also get to design their own sugar skull and capture fun memories at the photobooth. Post your creations and photos online with the hashtag #CommercenterHalloween. for a chance to win Cinema passes. Price & Register: Avail of your trick or treat ticket pass for every purchase worth P2,000 from The Podium shops and restaurants. What to Expect: Get to enjoy Shopkins meet and greet on October 27, 2018 when you purchase Shopkins merchandise from October 23 to October 27 at the Toy Kingdom pop up shop located at level 2 atrium. Redemption starts this coming Friday October 12, 2018 at The Podium concierge. What to Expect: Your family will take a trip down the whimsical and colorful Land of the Dead and enjoy fun games, magical surprises, and exciting activities. Limited slots are available so make your reservations soon! Open to kids ages 4 to 12 years old. Price: Collect receipts worth Php 200 from any Promenade or Theater Mall outlet and register at the Missouri entrance of the Promenade, the site of the Costume Contest. All kids in Halloween costume get free entrance plus a loot bag at Brick Or Treat, a Lego exhibit at the Promenade Hall. Adult companions may avail of the P150 entrance fee inclusive of freebies, raffle and activities. What to Expect: Greenhills’ annual Trick-or-Treat event is when all the kids come in their most monster-rriffic Halloween costumes and parade around the different stores. There are treats, a costume contest and more! This is open to kids 4-10 years old. Price: Php 300 from October 1-26. Register: Tickets available at Starmall Alabang Jollibee Level 1 & 2. Slots are limited to 200 kids only. On-site selling on Oct. 27 if the slots have not yet been filled. This event is open to 4-10-year-old children. Registration on event day starts at 12nn. What to Expect: Children must wear their cutest glow in the dark costumes. Horrid, bloody and gruesome costumes will not be allowed as they will frighten other children. Participants must bring their own treat bags for candies. Price: From October 1 – 27, 2018, those who want to attend the Halloween event must dine or shop in any of the establishments at ETON Centris with a single or accumulated receipt purchase of Php 2000.00. The receipt must be dated between October 1 to 27, 2018. Bills payment & other service payment receipt are not valid. One (1) single receipt or accumulated receipt purchase of Php 2000.00 is equivalent to one (1) event pass for one (1) child. Register: Registration starts October 19, 2018, at Wizards & Magic booth located at the 2nd level of Centris Station. What to Expect: Children will receive loot bags, goodies, prizes from games and activities, including a costume contest! This event is open to all children, two (2) to 12 years old and all children must be accompanied by a parent or guardian. Register: For the registration form and registration procedures, follow this link at http://bit.ly/2OUrh8N for registration procedure and other details. What to Expect: Children of 4 to 8 years old can join this event and must follow the rules stipulated in the registration procedures. There will be a photo booth, costume contest and trick-or-treating. Php 50 (If coming with a pail purchased from Sta. Lucia Department Store or Planet Toys). Just show receipt upon registration. Register: This event is open to children 10 years old and below. A photocopy of the child’s birth certificate is required when registering for the contest. All children must have one companion for security purposes. Registration period is from Oct. 1-20. What to Expect: This event will be featuring the color and flair of Dia de los Muertos and so it is a must that participants are dressed in this theme. Get a chance to win cash prizes and gift certificates in the costume contest! Open to first 300 kids 10 years old and below. What to Expect: Celebrate Halloween with Nickelodeon at SMX Aura! Come in your spooky and wacky circus themed costumes and prepare for fun, games, tricks and treats with your favorite Nick Toons! Register: For more information, follow their Facebook page at https://www.facebook.com/events/449859235537679/ or call them at 869-0800 or 869-9509. What to Expect: Have the kids join a costume contest, watch a magic show, participate in games, win prizes, raffles, loot bags, unlimited play, and more! What to Expect: Entrance to this event is inclusive of Unlimited Play wristband, food and drinks, food cart treats, loot bag, and access to all side activities like Trick-Or-Treat and product sampling. What to Expect: Once Upon a Halloweek will give your kids a chance to find treasure in Kidzania’s Treasure Island! The day will be filled with goodies, stories and prizes at the costume contest. Price: Early bird rate of P1,800 until October 17! Register: Register by following the link at bit.ly/TMMregistration2018. What to Expect: Spend a bewitching night at the museum and explore the limits of fear in this spooky science edition of this much-anticipated sleepover! How many people can say you experienced a night at the museum? This sleepover is recommended for children ages 7 and above. Families and groups of friends are welcome. There are limited slots so hurry and book a stay! What to Expect: Wear your scariest costume on November 1 at 4 pm for a chance to win DreamPlay passes, gift certificates and an overnight stay at Nobu Hotel with the family! Have fun going around on the Shrek or Treat scavenger hunt and find goodies where children’s dreams come true.